I hate grapefruit with the fire of a thousand suns, but the rest sounds rad. Had the miso-jalapeÃƒÂ±o potato crepe this morning. Tried the negi beef and sesame chicken recently and was very impressed! Please keep coming back to the Short North! 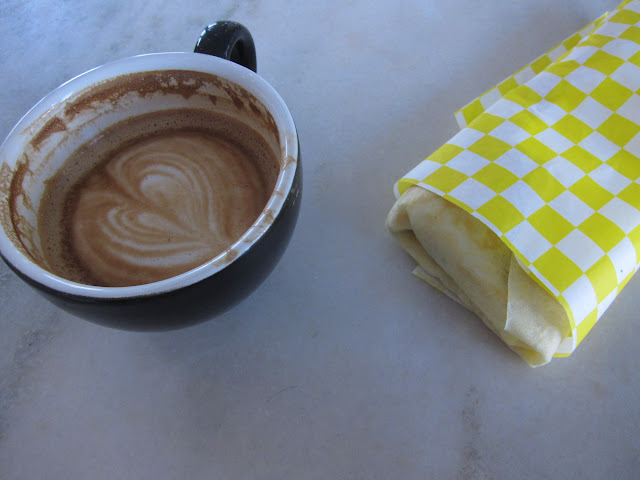 Also, thinking about that Genoa salami & egg crepe is making my mouth water . For creativity, labor-intensive cheffy preparations and outright deliciousness, this little cart takes the crepe award. Plus, their many, daily-changing and truly inspired Japanese-style crepes – which are smaller but more nuanced, supple and delicate than the others – can be eaten in hand and on the go. On the minor downside, the creative quirkiness of the owners sometimes translates into a bit of flakiness in the showing-up department (they’ve improved in this area, but follow their Twitter feed closely as info tends to change on the fly). flakiness? how about an uncanny grasp on product scarcity to generate unprecedented demand? yeaaah. the creative quirkiness of the owners sometimes translates into a bit of flakiness in the showing-up department. I love these guys and I think part of it is the whole schedule announcements -changing because of weather or back damage – hitting different parts of town including close to my house. Hey it’s a food cart not flakiness.